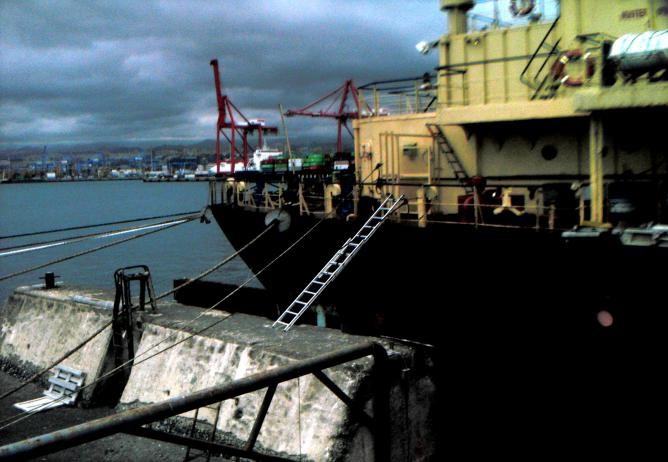 Due to the unsafe access conditions to the ship in the first berth upon her arrival, the inspection had to wait until she was moored in another location of the same port. A total of 22 deficiencies were observed as a result of the inspection, out of which 10 were considered to be posing in serious risk the maritime safety and the marine environment, granting the detention of the ship. The lack of compliance with the Enhanced Survey Programme (ESP). 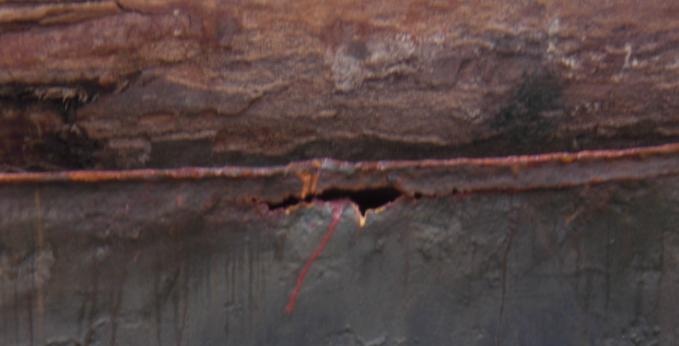 Overall corrosion of ship’s structure. 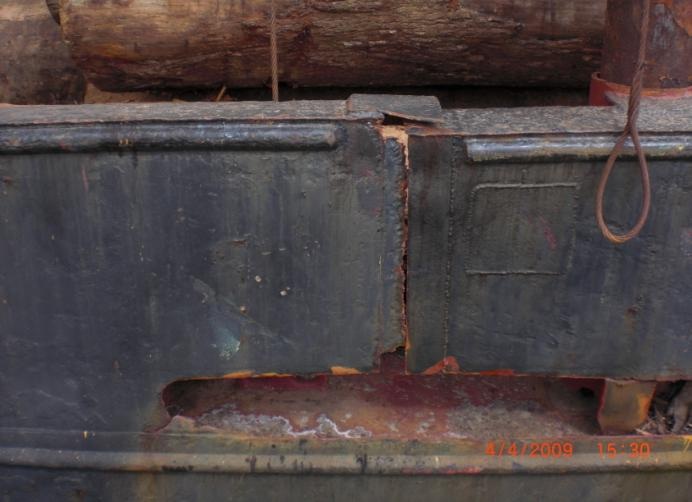 Prevention of accidents due to the unsafe stowage and securing of the timber cargo on deck. Essential radio-communication equipment being in non-operative condition. ISM due to the general lack of maintenance of ship and equipment. Besides this, the survey carried out in the same port by the classification society raised more than 30 serious structural deficiencies. 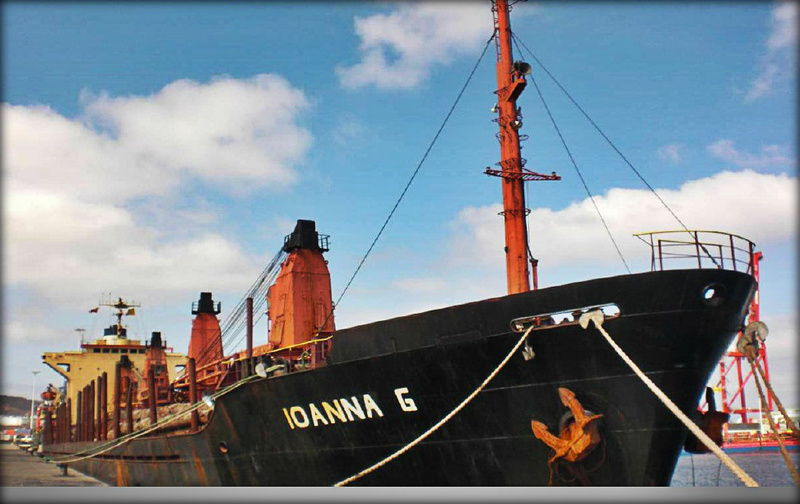 The classification society refused to issue the Safety Construction Certificate to the ship in view of the overall condition of the ship. The bulwarks were heavily deteriorated and holed due to severe corrosion. 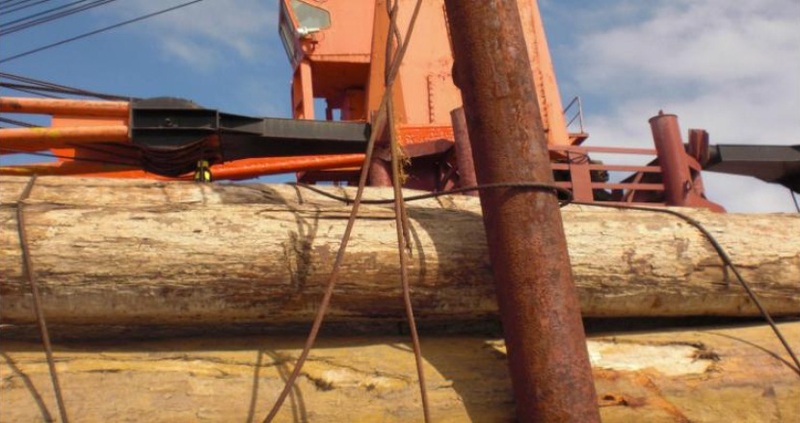 The timber cargo was unsafely stowed and fully occupying the main deck, without leaving any safe passage for the crew and interfering with the necessary ship’s operations. The provisions of the International Convention on Load Lines were totally disregarded. 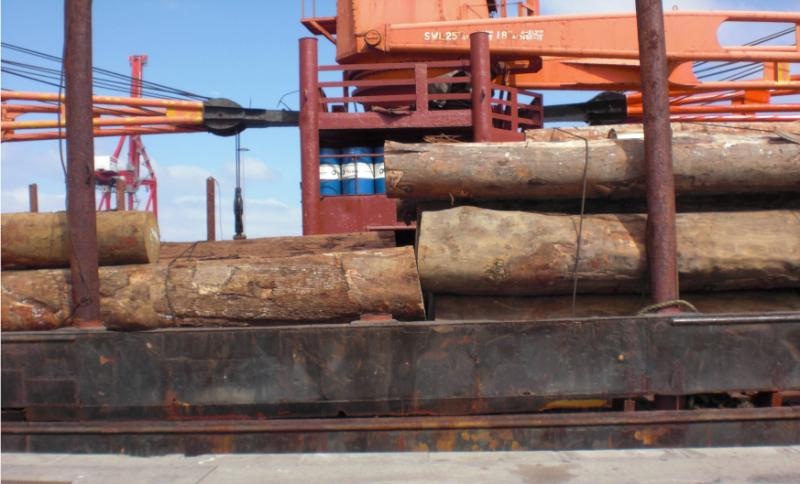 Uprights were not properly maintained, with evident signs of rust, some of the sockets presented holes due to the overall corrosion of the ship’s structure, and the lashing was neither efficient nor safe. Unhygienic sanitary facilities, not enough food for the intended trip, etc. After several visits on board to verify the progress of the rectifi-cation of some of the deficiencies, the ship was authorized to sail to a repair yard in Gdynia (Poland), with an intermediate call at La Rochelle (France) to unload the cargo. The ship was finally released from detention on May 4th 2009. Upon her arrival to La Rochelle on May 13th 2009, the cargo was totally discharged allowing the inspection of cargo holds by local PSCO’s and the pressure testing by overflow of the lower water ballast tanks. Temporary repairs were carried out at La Rochelle, allowing the classification society to renew the class certificates until December 2009 with certain class conditions to be dealt with before end of October. With flag Administration agreement, the recognized organization issued new statutory certificates valid until December 2009. The ship was allowed to sail from La Rochelle on July 27th 2009 and in three months shall call a repair yard to carry out final repairs in dry dock under classification society super-vision.